Cosmic rays from deep space could pose serious health risks to future astronauts on long-duration missions to Mars — even bringing on the memory-destroying symptoms of Alzheimer’s disease, according to the results of a new study from the University of Rochester Medical Center. 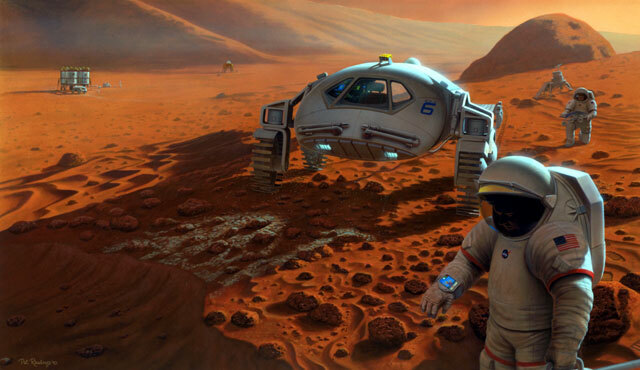 While NASA has its sights set on the human exploration of Mars within the next several decades, even with the best propulsion technology currently available such a mission would take about three years. Within that time, crew members would be constantly exposed to large amounts of radiation that we are protected from here by Earth’s magnetic field and atmosphere. Some of this radiation comes in the form of protons from the Sun and can be blocked by adequate spacecraft shielding materials, but a much bigger danger comes from heavy high-energy particles that are constantly whipping across the galaxy, shot out of the hearts of exploding giant stars. Read more: New Study Shows Cosmic Rays Could Cause Alzheimer’s — Universe Today.